I Heart Marc Jacobs limited edition eau de parfum spray. Marc Jacobs intertwines fashion with art with his new limited edition I Heart Marc. This is Marc's original signature scent in a fun limited edition bottle. Just in time for valentine's day, the classic Marc Jacobs bottle is screened with I Heart Marc to symbolize his affinity for modern art. Now Marc Jacobs fans can boldly proclaim their love with this limited edition fragrance. 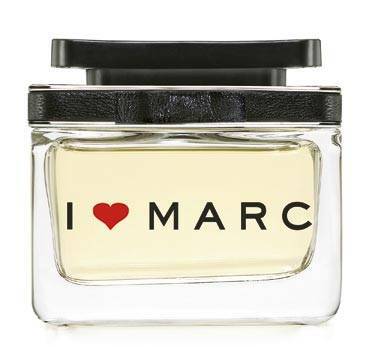 I Heart Marc limited edition eau de parfum spray is exclusively available at Myer from may 07.